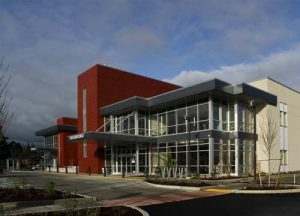 Olympic Medical Center officially opened their new Medical Office Building this past weekend. The new two-story, 42,000 SF outpatient facility includes a walk-in clinic and spaces for orthopedics, cardiology, pulmonary medicine, gastroenterology, urology and women’s health services. More information about the building can be found here. The Peninsula Daily News featured the facility’s opening in the article below.